Buildings often use truss systems made of steel beams. 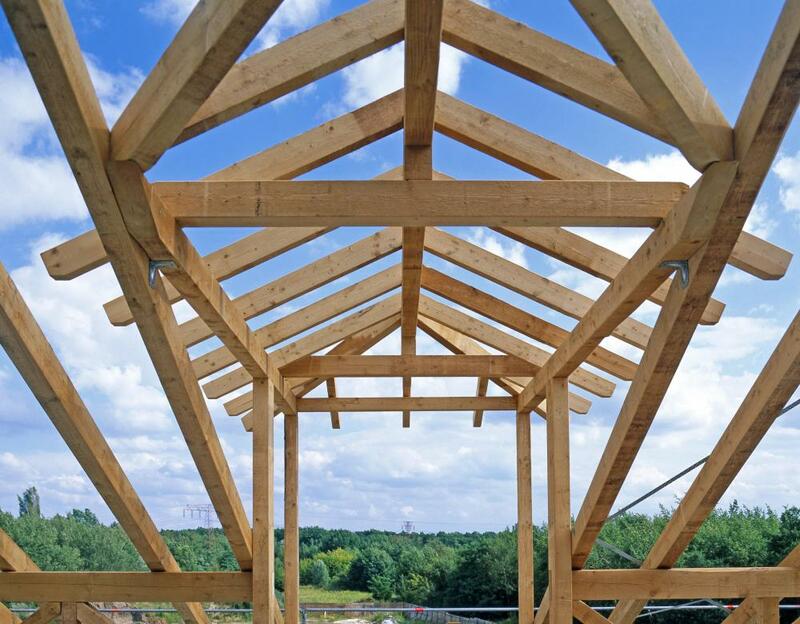 A roof truss provides support for a roof. The pitched or common style is one of the two most common truss designs. In architecture or structural engineering, a truss system is an arrangement of wooden or steel support beams configured in a triangular shape. Typically, the horizontal ends are connected to other trusses in the system. Truss systems are frequently used in the construction of buildings, bridges and utility towers. They also are commonly used in stage design and displays. One of the advantages of the truss system is its simplicity. The triangle bears loads only at its joints, or nodes. A triangular structure is stable and needs no extra support to prevent collapse, as a rectangle would. Force calculations are easy because only compression and tension forces are present. This limits the number and direction of forces that must be accounted for when determining forces in a truss member. Despite its simplicity, a wood truss system is extremely strong. A truss system is stronger than a beam because it can dissipate forces throughout its structural members. The use of truss systems in construction remained popular even after other, stronger materials became available. Truss systems are easy to construct because they consist of few pieces. They tend to be lightweight and very inexpensive because only beams and joints are needed. Truss systems can span large distances and dissipate forces throughout the structure with load-bearing only at the ends. This can be very convenient in residential and commercial building construction because non-load-bearing walls can be placed at intervals between two ends of the truss system. This allows flexibility in spacing walls and allows for easy removal of them if necessary. There are some disadvantages to truss systems, which is why they are not used in every roof structure. In situations where more room is needed in the roof area, such as attic rooms, truss systems might take up too much space. Truss systems are more difficult to place than rafters. 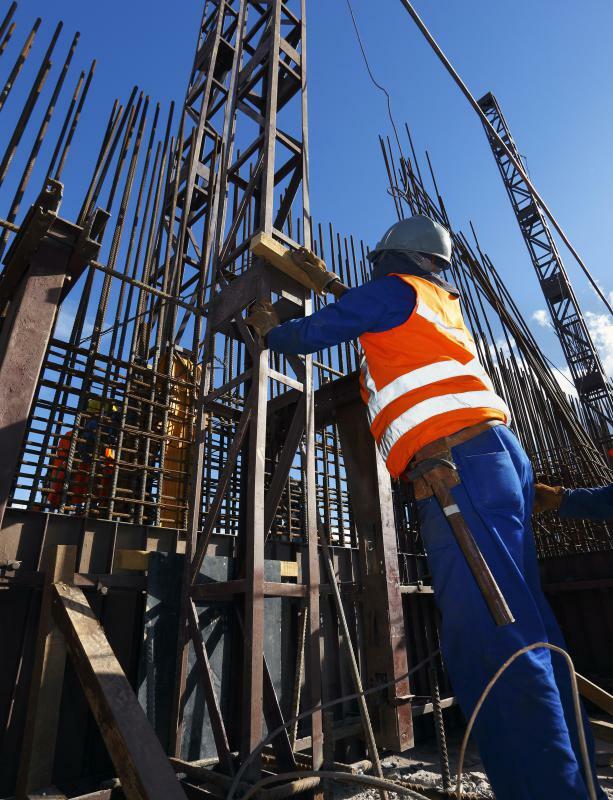 They must be assembled on the ground and lifted into place with a crane, whereas rafters can be built quickly and without special equipment. In roof systems that have many shape irregularities, truss systems might not work well. Many variations on the truss system are available to counter some of the disadvantages and make the system capable of handling differing load requirements. In the case of utility towers, a three-dimensional truss system might be used to make the structure vertically stable and capable of withstanding high winds without toppling. Another example of a variation on the truss system is the use of a cantilevered truss in bridge construction to make long spans of truss systems possible. What is an Aluminum Truss? What is a Lighting Truss? 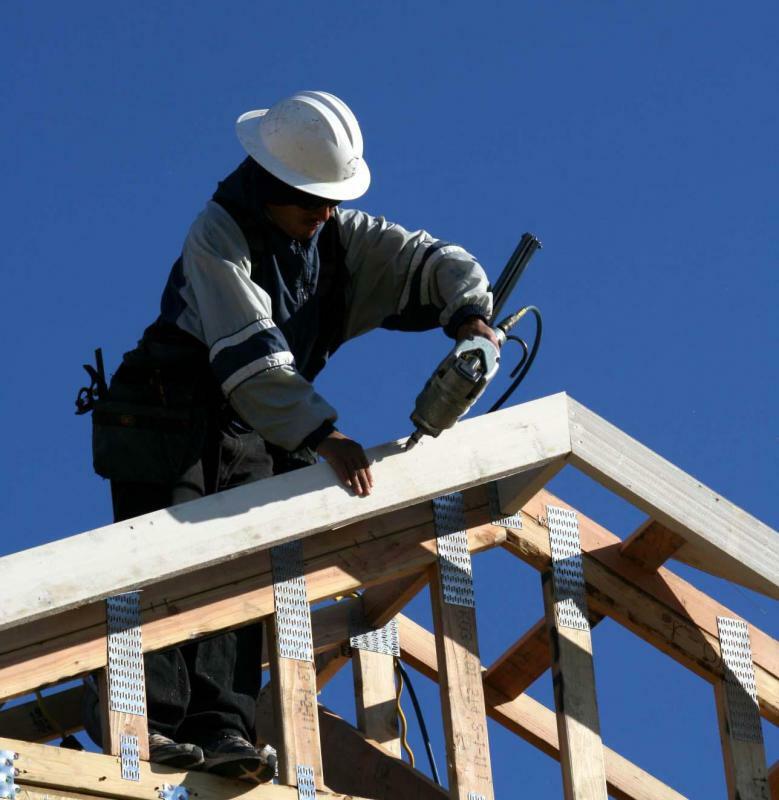 What is a Truss Joist? What is a Truss Stand? What is a Stage Truss?